There’s simply no way to keep up with all the worthwhile and desirable disks which still get released despite rumours of the format’s decline … a problem compounded when, like me, you feel compelled to buy multi-region players. Criterion, Twilight Time, Olive Films and Shout Factory, among others, put out a steady stream of interesting new titles, while in England the BFI, Eureka, Second Run and Arrow Films also offer numerous titles, many of which aren’t available at all over here in Region 1/A. Of course, this is compounded by the constant re-releasing on Blu-ray of titles previously available on DVD. I did try, back in the early days of BRDs, to make a point of not “upgrading”, concentrating instead on getting hold of titles I hadn’t already bought. That thought, like New Year’s resolutions, quickly fell by the way. Several of my recent purchases from England have been such upgrades – the BFI’s dual-format edition of Peter Watkins’ Privilege (originally released in the Fall of 2011, but only recently purchased); Eureka’s editions of Franklin J. Schaffner’s The War Lord and Richard Fleischer’s Violent Saturday; Arrow’s beautiful edition of Robert Altman’s The Long Goodbye. Privilege was originally released on DVD by the BFI in early 2010 as number 7 in their Flipside series; it was the only Flipside release I didn’t buy immediately, because I already had the excellent Project X region 1 release (which, unlike the BFI edition, includes Lonely Boy, the 1962 verite National Film Board documentary by Roman Kroitor and Wolf Koenig about teen idol Paul Anka, a big influence on Watkins’ film). 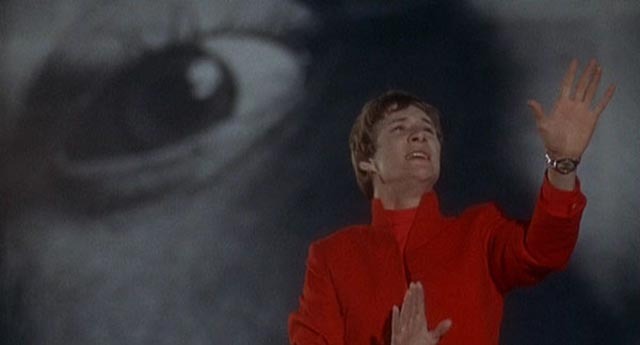 Privilege (1967), Peter Watkins’ first theatrical feature, stands somewhat apart from the rest of the directors’ filmography because it was the sole time his work was financed by a mainstream production company (Universal). Given his previous work, he seems like an unlikely candidate for that kind of support. Watkins began with a handful of impressive amateur films which used documentary techniques which were so convincing that broadcast professionals believed that The Forgotten Faces (1961), an account of resistance to the Soviet invasion of Hungary in 1956, was a genuine documentary, despite the fact that it was shot on the streets of Canterbury with a cast drawn from a local theatre group. These early films got Watkins hired by the BBC, where he invented his own genre with the remarkable Culloden (1964), an account of the decisive battle in which English forces crushed the Scottish clans in 1746. Watkins’ innovation was in meticulously recreating the physical and historical details of the event, while simultaneously foregrounding the process of creating that verisimilitude by incorporating television crews which conducted interviews with the participants and added levels of commentary to illuminate the ways history is written and presented. This concern with the ways in which the media are implicated in the events they present became the primary ground against which all his subsequent work has been created. Watkins’ follow-up to the well-received historical film applied these same techniques to contemporary issues, specifically nuclear proliferation and the probable effects of a nuclear strike on southern England. Using the actual disturbing words of establishment figures set against a horrifying depiction of the inevitable death and destruction, Watkins came up with a powerful film which scared the BBC and, apparently, influential politicians (perhaps including Prime Minister Harold Wilson, who reportedly insisted that the film not be aired because it would stir up popular resistance to government policies); ironically, while The War Game (1965) was suppressed by the BBC, it went on to win an Oscar for best documentary feature (with the Academy apparently unaware of the irony – the film is a dramatic projection which makes devastating use of documentary techniques, but although the “facts” are all scrupulously accurate, it is not actually a documentary). It was in the wake of this turbulent response to The War Game that Universal proposed financing for Privilege. Once again, Watkins used his evolving extrapolations of current media techniques to dig into contemporary politics. In fact, the political uses of media and popular culture are the subject of the film. 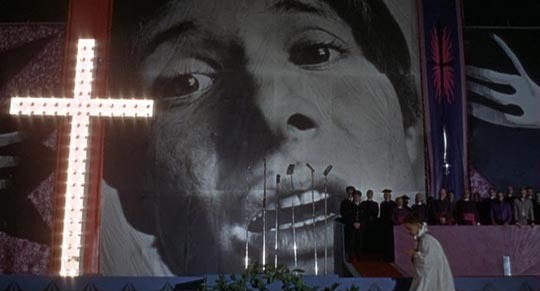 Projecting current trends into the near future, the film depicts a fascistic Britain in which the institutions of the establishment manipulate entertainment and the cult of celebrity to mold the behaviour of a population which has been seduced by ersatz cultural phenomena into compliant acquiescence with government and corporate interests. The only one of Watkins’ films to be shot on 35mm, Privilege has a technical polish unlike the grittier textures of his other movies. It also is less sharply focused than the rest of his work. Working for the only time in his career with a largely professional cast, the film can’t quite make its world entirely convincing. 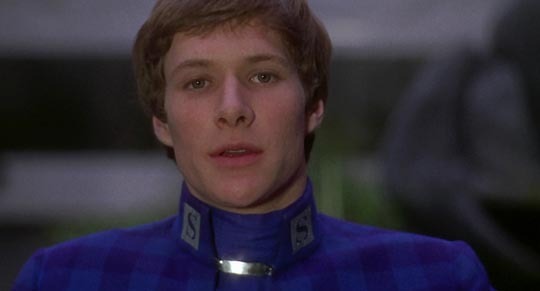 Paul Jones (the lead singer from Manfred Mann), who plays pop star Steven Shorter, said himself that it wasn’t believable that a solo performer could achieve the kind of fame and influence depicted in the film. (This was in the days of The Beatles, The Rolling Stones, The Who and so on; many years before phenomena like Michael Jackson.) And although the film is musically interesting, it suffers a bit from that common problem faced by movies that try to invent major musical acts; the performances work in terms of the film’s drama, but in the real world they would be unlikely to draw the kind of response depicted. Additionally Jones fails to project the kind of personality which might inspire vast crowds to tearful ecstasy. Inexperienced as an actor, he sticks to one expression, a kind of petulant irritation which doesn’t evoke the depths of existential angst the script calls for. But for all its shortcomings, Privilege remains a prescient treatment of trends which have only metastasized in the decades since its release; politics has become a mechanism for perpetual distraction which destroys the supposed power of democratic populations in favour of elites who use the cover of that distraction to pillage everything in sight for their own profit. And, as Watkins indicates, corporate-controlled media are crucial to the process, working hard to blind the general population to what’s actually going on while aiding in the lies and deceptions of our rulers. Watkins’ work following Privilege became more complex and sophisticated, but this anomalous film lays the groundwork for his lifelong project of doing what he can to counter the awful inertia which has been dragging us inexorably towards the mess we’re now living in. 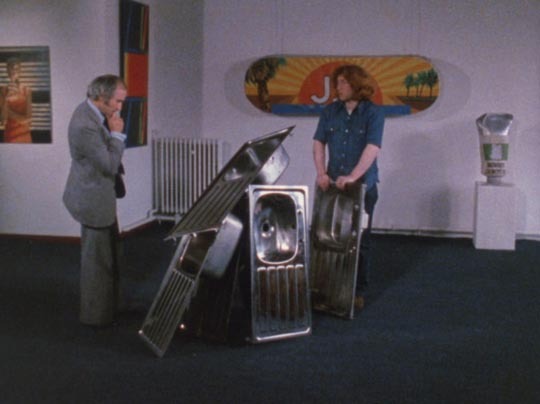 The most recent Flipside release looks like a small confection next to Watkins’ work, but Bill Forsyth’s debut feature, That Sinking Feeling (1979), is nonetheless a subversive little enterprise. 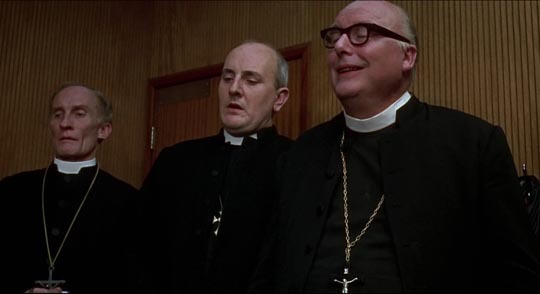 Made for next to nothing (literally: the budget was around £5000), it was once listed by Guinness as the cheapest movie ever given a legitimate commercial release. Forsyth, having spent years as a documentary editor and occasional actor, had tried to get a feature off the ground for some time. Working with a youth theatre group in his native Glasgow, he developed the script for Gregory’s Girl, but set it aside when the BFI rejected it as “too commercial”. Not wanting to lose momentum, he quickly put together what would become That Sinking Feeling. Starting like a Ken Loach study of bleak working class despair, Forsyth’s film introduces us to several Glaswegian teens who live in poverty, devoid of prospects (“multiple social deprivations”, as one of them comments). But the tone quickly reveals it as something a bit different. Early in the film, three of the boys sit in a derelict car on a piece of wasteground and tell each other about their recent attempts to kill themselves – one describes filling his mouth with cornflakes and milk and holding his nose closed in an effort to choke to death. The odd mix of seeming social realism with black comic notes seems to indicate something much darker than the film we’re watching, but while never losing sight of the realistic details of the setting (physical and social), That Sinking Feeling gradually reveals itself as an urban fairy tale touched with a surprising and unexpected suggestion of optimism. 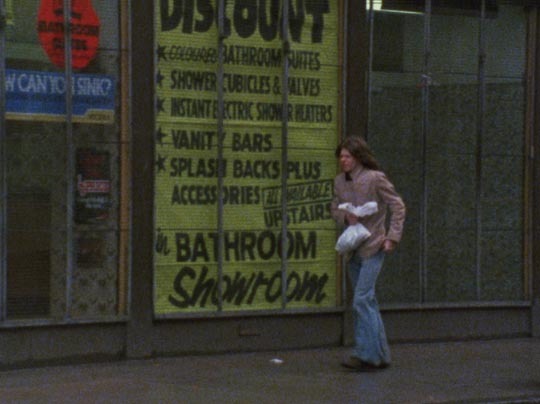 One of the boys, Ronnie (Robert Buchanan), comes up with a scheme for the group to get rich quick; just up the road is a plumbing supplies warehouse and kitchen sinks sell for £60-odd a piece. All they need to do is steal a van-load and sell them. It’s just the kind of absurd idea an aimless teenager might come up with (despite the poverty, there’s no indication that these boys have grown up in a criminal environment). 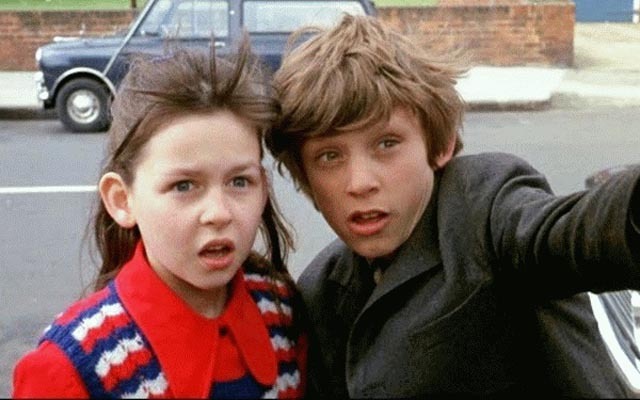 Although darker in tone, Forsyth’s film is reminiscent of the Children’s Film Foundation productions which the BFI has also been releasing on disk; this is a world with only tangential adult connections. These kids have been handed very little by a society which isn’t concerned with their fate and they look around for ways of improving their lot on their own initiative. That Sinking Feeling follows the rules of the heist genre, with the meticulous planning of the caper (which eventually involves a couple of the boys dressing unselfconsciously in drag to distract a night watchman, not to mention an experimental drug developed by one of them capable of putting someone into suspended animation), but perhaps surprisingly without the usual downbeat collapse of the plan. This is a wish-fulfillment fantasy (when they lose the van full of sinks, they gain a van full of donuts and pastries). 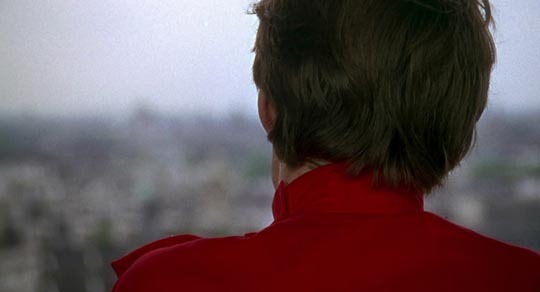 The film already exhibits, fully formed, the charming lightness and suggestion of magical realism which marked Forsyth’s subsequent films – particularly his masterpiece, Local Hero (1983), his first American film, Housekeeping (1987), and his underrated melancholy epic Being Human (1994). Flipside’s dual-format edition is packed with interesting supplements, including an engaging commentary from Forsyth, moderated by critic Mark Kermode; a brief discussion between Forsyth and Kermode about the film’s budget (the folder full of hand-written scraps and receipts is inspiring for anyone daunted by the idea of putting together their own production); an interview with Robert Buchanan; and a handful of shorts in which Forsyth either appeared as an actor or served as editor or director. Also included is the dubbed soundtrack made for the American market; while it maintains a Scottish tone, it softens the thick Glaswegian accents and was apparently very offensive to viewers in Forsyth’s home town. Speaking of the Children’s Film Foundation: the third, fourth and fifth releases in the series – Weird Adventures (released June 2013), Scary Stories (Sept 2013) and Runaways (April 2014) – contain several items of interest. 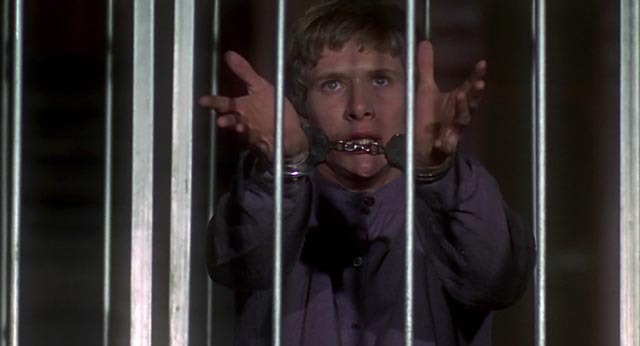 Most notable, perhaps, is the final collaboration between Michael Powell and Emeric Pressburger, The Boy Who Turned Yellow (1972). Not exactly a landmark, this bizarrely random story of a boy who encounters some kind of alien made of electricity, who enables him to travel through television sets and wiring, revolves around a pet mouse lost on a school trip to the Tower of London and climaxes with the boy facing execution on the headsman’s block before being zapped to safety … visually garish, the 52-minute film maintains viewer interest more through a kind of puzzled curiosity than any actual narrative interest. Also included are The Monster of Highgate Ponds (Alberto Cavalcanti, 1961), with a stop-motion creature by British animation pioneers Halas and Batchelor; and A Hitch In Time (Jan Darnley-Smith, 1978), featuring Patrick Troughton sending up his own Doctor Who past as an eccentric inventor with a time machine. Scary Stories is a kind of kids’ version of the BFI’s recent horror releases, with three stories involving ghosts (genuine and faked), threatened orphans, historical events impinging on the present, and kids solving mysteries ignored by the adults around them: The Man From Nowhere (James Hill, 1976), Haunters Of the Deep (Andrew Bogle, 1984), and Out of the Darkness (John Krish, 1985). Runaways features three films about kids trying to escape intolerable situations – in Johnny on the Run (Lewis Gilbert, 1953), a Polish war orphan flees an abusive home in Edinburgh and finds refuge in a village of orphans, though he has to deal with a couple of crooks before he can settle safely; Hide and Seek (David Eady, 1972) stars Gary Kemp (of Spandau Ballet and The Krays ) as a boy who befriends Keith (Peter Newby) who has run away from an approved school in search of his father, who turns out to be a crook currently planning a bank robbery; and Terry on the Fence (Frank Godwin, 1985), like Hide and Seek, sees kids aligning with one another against adult-defined definitions of good and bad, as Terry (Jack McNicholl) is forced by a gang to help rob his own school, but finds himself empathizing with gang leader Les (Neville Watson), who’s obviously got a crap life and is facing harsh penalties from self-righteous adults. This entry was posted in Commentary, Review and tagged BFI, Blu-Ray, British Film, Children, Crime, Directors, Docu-drama, DVD, Fantasy, Flipside, Science Fiction. Bookmark the permalink. Thanks again for the Peter Watkins material you gave me. Seeing Privilege again brought back many feelings. Ahhh Jean Shrimpton…world’s greatest actor. Obviously a tremendous influence on Cate Blanchett.